This rip-roaring adventure finds down-on-his-luck Captain Jack feeling the winds of ill-fortune blowing strongly his way when deadly ghost sailors, led by the terrifying Captain Salazar, escape from the Devil's Triangle bent on killing every pirate at sea -- notably Jack. “Pirates of the Caribbean: Dead Men Tell No Tales” drops anchor in theaters on May 26. MYclub members, enter for the chance to win a family four-pack of tickets to an advance screening of “Pirates of the Caribbean: Dead Men Tell No Tales” at AMC Downtown Disney on Saturday, May 20 at 10am. 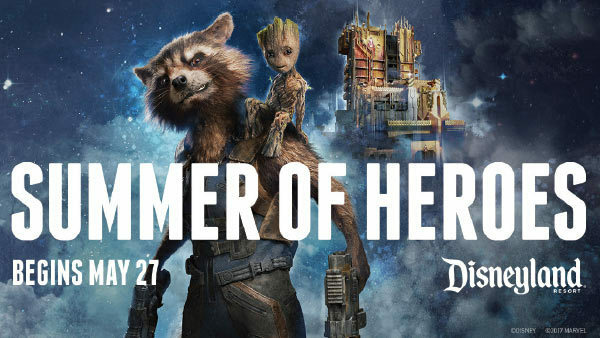 Plus… upon attending the movie screening, you will receive a family four-pack of 1-day/1-park tickets to the Disneyland® Resort to experience the Summer of Heroes and the new attraction Guardians of the Galaxy – Mission: Breakout! Opening on May 27! After you hear “the cue to call” be the 20th caller at1-866-544-MYFM (1-866-544-6936) and win your tickets! Movie passes must be picked up at the movie theatre the day of the screening. Winner and guests should arrive no later than 9am. Disneyland® Resort tickets (one-day/one-park) will be handed out on-site after attending the screening of the movie.